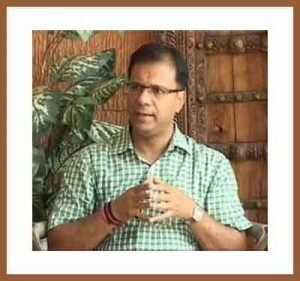 Margao: Goa Minister for Health Vishwajit Rane on Tuesday said that the health sector had been receiving utmost importance from the government to ensure that Goans got maximum benefit of all health facilities. Speaking after inaugurating Mega Health Camp in the presence of Benaulim MLA Churchill Alemao and organised jointly by Directorate of Health Services, Goa Medical College, Goa Dental College and Mukta Opticians at the premises of Sacred Heart of Jesus High School, Carmona, here, he said Goa was the first State in the country to start Cardiac Ambulance service and five cardiac ambulances had 21 doctors working 24×7. Margao too would be provided with one such cardiac ambulance, he said and informed that the South Goa District Hospital which was in the completion stage would cater for the entire South District. All facilities, including cath lab and ICU, would be made available. The 12 bedded Benaulim Health Centre Project work, as promised, would start soon, he said. He also announced that free insulin would be provided through every health centres to patient suffering from diabetes. The Mega Health camp was not only limited for the day but the patients detected through such camps and referred to Goa Medical College, Bambolim, would be given priority treatment, Mr Rane said. Stating that the South Goa District Hospital would be named as Hospicio Hospital, the Health Minister said the present premises would be used as training centre once it started functioning from the new premises. Dialysis Centres were being opened at Navelim, Mapusa, Balli, Valopi and Ponda as it was observed that there was a rise in patients for dialysis day by day, he pointed out. Mr Alemao urged people to make the best use of 108 ambulance services for all medical emergencies which provided instant primary medical aid. The health sector was developing rapidly and doing well in the state, he said. Zilla Panchayat Member Nelly Rodrigues, Director, Directorate of Health Services, Dr Sanjay Dalvi, Dean, Goa Dental College, Dr Ida De Ataide, Medical Superintendent, Hospicio Hospital, Dr Ira Almeida, Dr Rajnanda Dessai were among those prominent persons present on the occasion.